Model RP 210-B Compact The Model RP 210-B is a fast and reliable way to join copper, stainless steel, PEX and Multilayer fittings. Compact Series V-Jaws RIDGID Compact Series press jaws are 40% lighter and 33% smaller than Standard Series jaws, enabling them to fit into tight spaces. 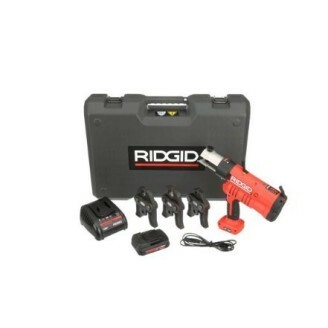 RIDGID Compact Series press jaws are only compatible with RIDGID Compact Series press tools (RP 100-B, RP 210-B). Compact Series TH-Jaws RIDGID Compact Series press jaws are 40% lighter and 33% smaller than Standard Series jaws, enabling them to fit into tight spaces. RIDGID Compact Series press jaws are only compatible with RIDGID Compact Series press tools (RP 100-B, RP 210-B). Compact Series U-Jaws RIDGID Compact Series press jaws are 40% lighter and 33% smaller than Standard Series jaws, enabling them to fit into tight spaces. 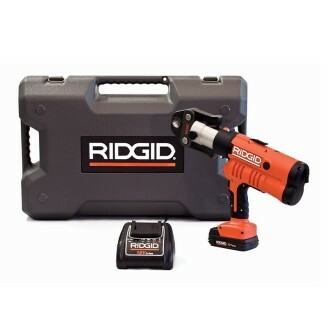 RIDGID Compact Series press jaws are only compatible with RIDGID Compact Series press tools (RP 100-B, RP 210-B).